The beauty of the countryside of Finland is the spotlight in Kyrsyä–Tuftland, a melodramatic piece of Folk Horror by director-producer Roope Olenius. This work is his first feature film and his attention to detail does more to emphasize a hidden terror than provide supernatural scares. Billed as Rosemary’s Baby meets Wicker Man, this hook was enough to get me interested in examining this film. Darkside Releasing made this title available in Canada last month. In the States, it’s now available on VOD with thanks to Subliminal Films. Irina Vaahtera (Veera W. Vilo) is this film’s protagonist, and she’s feeling very lost, especially after finding out her boyfriend cheated on her. She’s not doing too well in school either, and she simply decided to get away from it all, by taking a summer internship in a small town which specializes in making a special embroidery. Flying Higher and Higher with the Dreams of Captain Marvel, but What’s Next? 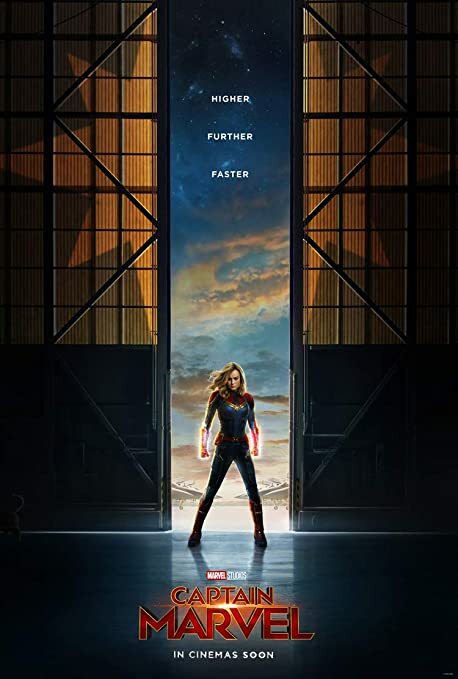 Captain Marvel is the final film in stage four of the Marvel Cinematic Universe. When most viewers know that Thanos is a threat and not many superheroes can go toe to toe with him, we need a character who can. Carol Danvers (Brie Larson) is a type who wants none of this alpha male stuff if her standalone movie is any indication. Before her awakening, though, she’s was a grunt in a team known as the Starforce, and Yon-Rogg (Jude Law) wastes no time putting her (known as Vars) in her place.